There is nothing Maharaja Icky loves more than a good mess. You should look at his tablecloth after a meal. It’s the spottiest thing around! 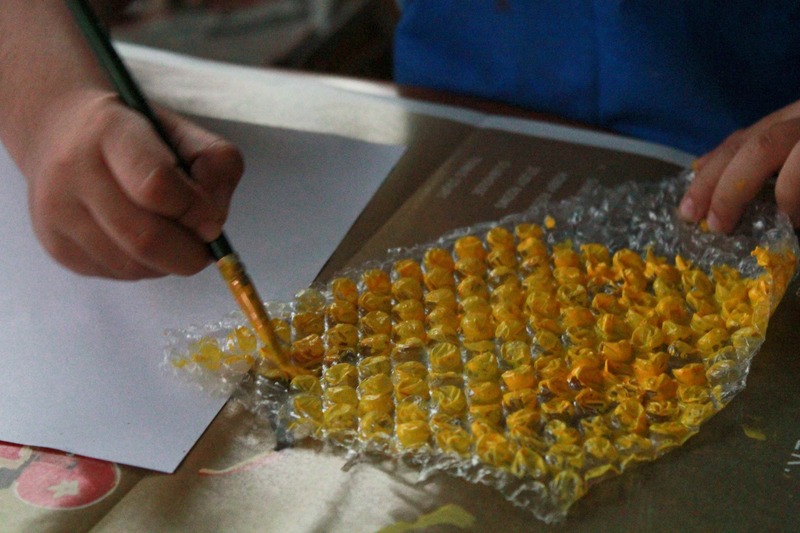 Here’s how we copy the messy design using bubble wrap, or phut phut paper as some of us like to call it. Cut the bubble paper into pieces about 5”x5”. You’ll need one piece for every colour you want to use. Take one piece of the bubble paper and paint on poster colour onto the side with the bubble dots. Turn it around and print the spots onto the plain piece of paper. Continue with the other colours you want to use. And there you have it! 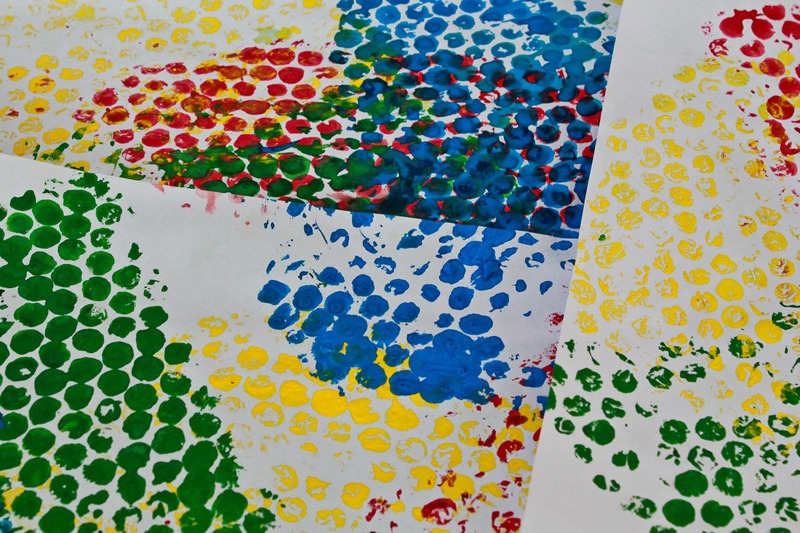 A dotty, spotty, colourful paper that you can create stuff with! You could even print this onto old newspaper to create colourful recycled gift-wrap. Superglued fingers, travel and a new season of MasterChef Australia; reasons for hitting pause on my writing.